Political violence and instability in the Middle East is arguably the world's most important political issue. The region is certainly the globe's leading area for turmoil, war, and violence; and its conflicts have continuously involved Western countries both directly and indirectly. This book surveys the main conflicts and insurgencies in recent Middle East history, focusing mainly on the period since the 1980s. Taking a historical-analytical approach, it covers challenges from revolutionary groups, civil wars, and the main conventional wars in the region. In addition to providing detailed narratives, the contributors also analyse the lessons for political and military affairs stemming from these conflicts. 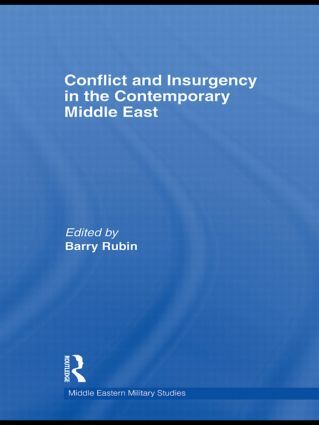 Conflict and Insurgency in the Contemporary Middle East assembles for the first time detailed studies of the Iran-Iraq, Israel-Hizballah, and the two Coalition-Iraq wars, along with analyses of a number of insurgencies. Assessing successes and failures, strategy and tactics, and changes in military technologies, the book will be of great interest to students of Middle Eastern politics, insurgencies, security studies and International Relations in general, as well as policymakers and military professionals. What do Middle Eastern armies do?